Buying bedding means finding the right combination of good looks, high quality materials, and the right items for the bed that you're looking to dress. You can choose materials according to their quality but also according to features like whether they're machine washable. 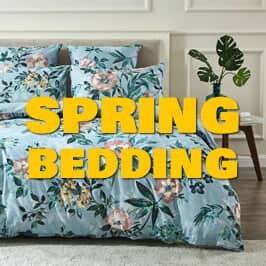 It can be challenging to find the best bedding items for your home, because everybody has unique requirements when it comes to sleep, but buying for a child's bed is even more challenging. Your children don't understand the difference between cotton sheets and silk, for example, and they will demand the best looking designs. Fortunately, there are manufacturers that specialise in the construction and supply of these items, and Just Kidding children's bedding is one of those companies. Choose from a great selection of bedding sets that include a duvet cover and one or two pillow cases, while also choosing from a wide range of designs like the Sweetness design, complete with gingerbread men and candy canes, or the Hilltop Farm Now design that includes children's favourites like tractors and farm animals. 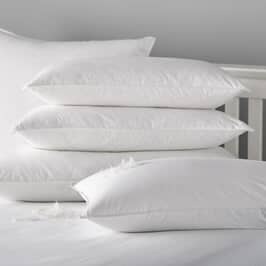 The polycotton bedding not only looks great, but is made from a blend of polyester and cotton, providing the benefits of luxurious and comfortable cotton with the durable and hardwearing benefits that polyester has to offer. We regularly run offers and discounts on these great looking kids' bedding sets, and at Just Linen, we also offer free UK delivery on all orders over £50, so if you buy today, you can enjoy even greater value for money. 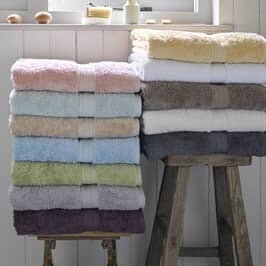 Alternatively, if you have questions about any of the products that we sell, you can call us and speak to one of the team, or you can call in to Dawson's Department Store, where you can see our entire collection of bed linen, homeware, and gardenware items, talk to the sales staff, and find the items you're looking for. It is important that we all get a good night's sleep. Good sleep is known to have health benefits and emotional benefits, and adults spend approximately one third of our lives in bed. Children, who require more sleep, have even more important sleeping requirements. Try giving a child a scratchy sheet or an uncomfortable duvet, and see how well they respond the next day. What's more, you need to ensure that the bedding itself is safe, as well as comfortable, and most children love nothing more than brightly coloured rooms and bedding to match. In particular, kids love characters and motifs, and Just Kidding children's bedding has these in abundance, as well as simpler but equally colourful and attractive bedding set items. When buying any bedding set, the first thing to consider is which items you require. Does your son have a single or double bed? Do they prefer one or two pillows? Most young children have a single bed and use a single pillow, but this might not be the case with your child, so do consider their requirements before you buy their bedding set. 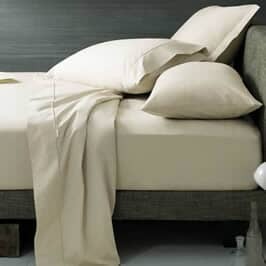 Duvets and pillows are standard sizes, which means that a single duvet cover will fit any single duvet, although if you have bought the bed or duvet abroad, then you might find that there is some difference in dimensions. Duvet covers are designed to protect the duvet, which sits on top of you while sleeping. It needs to be soft and it also needs to be breathable, otherwise your son or daughter will feel stifled and will really struggle to sleep properly through the night. Ideally, the duvet cover should be easy to wash, too. This is especially true with children's bedding, because most children will play on or around their beds, and they will rarely make the bed properly in the morning. Pillow cases cover the pillow, and because your child's head will be on their pillow all night, comfort and breathability are important factors once again. Choose the style of pillowcase, as well as design, and ensure that you buy any extra cases that you want when buying your child's bedding set. Most JustKidding children's bedding set items are made from polycotton. This is a blend of polyester and cotton that offers the best of both the natural and synthetic worlds. Polyester is hardwearing and durable. It will last for years, but this strength can come at the cost of comfort. Polyester tends to crinkle, and bedding sets made from pure polyester might be long lasting, but they are not as comfortable as those made from cotton. Combining polyester and cotton means that your child can enjoy the comfort and luxury of cotton, a natural fibre, while you can enjoy the durability of polyester. Polycotton is also a flexible material that can be customised to incorporate the design of any manufacturer. 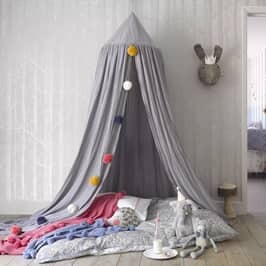 Kids are creative and imaginative, and they enjoy items in their bedrooms that have the same characteristics. This means that they will especially appreciate bright and colourful designs, and while some children might prefer characters and motifs on their bedding, others will have a favourite colour and even a favourite shape. The vast range of children's bedding available means that you can buy items that combine these features and designs. Kids love sweets, and if you have a son or daughter with a particularly sweet tooth, you can buy the Sweetness bedding set. The duvet cover and pillow cases include images of sweets and biscuits, and the design is not only mouth watering but incredibly colourful. Simpler designs like the Oliver Now design use geometric designs and combine these with attractive colours like a bold blue. If your child prefers pink, there is also a Fun Stripe design in stunning pink. Other designs from the Just Kidding children's bedding range include the Flutter design with butterflies and many more. You can browse the collection right here on the Just Linen website to ensure that you get the design that your child will love. Polycotton bedding has many benefits. It can be customised with great looking designs by manufacturers and designers. It is durable, and it is comfortable enough that your child can enjoy a great night's sleep every night. Another benefit of polycotton is that it can be machine washed. Easy washing is a vital feature for children's bedding, because kids do have an amazing knack for creating mess everywhere they go. What's more, your child sweats a lot during the night, and this can quickly make their duvet covers and pillow cases look grubby. Follow the instructions on the items that you buy, but remember that one of the benefits of polycotton is the ability to machine wash and care for the items. Getting the right bedding for your child is vital. It helps to promote good sleeping patterns while providing a great looking design and finish in their bedroom. Choose the set that matches the size of your child's bed, ensure that you get the duvet cover and pillow cases that they need. Choose a design that they will love, and remember that polycotton is a great material for kids' bedding sets because it is easy to care for and will last a long time. 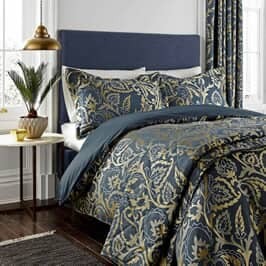 Just Linen is the official bedding website for Dawson's Department Store. We offer competitive prices on a vast range of products, including bedding sets for kids. We also offer discounts and savings on a lot of items, and if you buy today and spend more than £50, we will include free delivery for your items so that you can enjoy even more competitive prices on the great quality items that we sell. Call us with any questions about the products we sell, or call in to Dawson's and see our entire range and collection of homeware. No reviews currently be the first to review one of these designs!